20 Challenge! Several of our team took part in the Hospice at Home Carlisle and North Lakeland 20 challenge in June 2018. 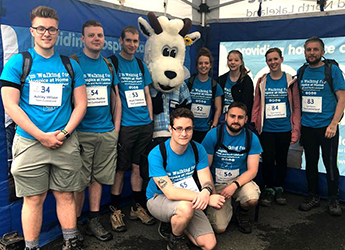 The 20 challenge is a 20 mile walk over 10 beautiful Lake District fells, and was organised to raise money for the hospice's counselling and nursing services for patients with life threatening illnesses. Fantastic efforts from everyone who participated in the event, with the funds raised being used to support this fantastic charity, which so many people will benefit from.